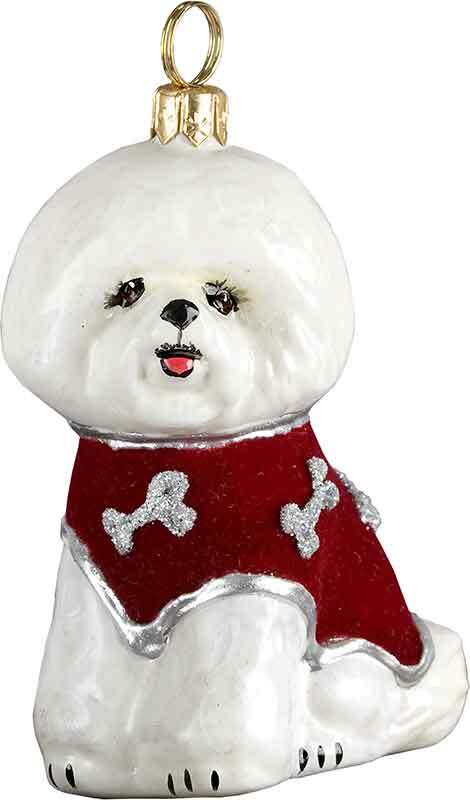 Diva Dog Bichon Frise Glass Dog Ornament. The Bichon Frise Ornament is hand made by artists who first create a mold for the dog breed, then the glass is blown and hand painted. Our ornaments are made in Europe. 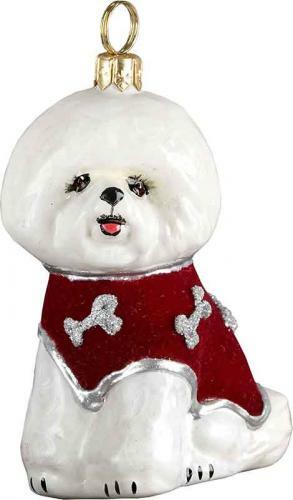 The ornament measures approximately 4 inches - a simply gorgeous collectible for the Bichon Frise Dog Lover!